The Harewood Estate owns approximately ninety cottages in the village and within the Park, the vast majority of which are Grade II Listed and which together form the major part of the original village. As a result, the Estate is able to ensure the maintenance of the appearance of the village very much as it was when originally created in the late eighteenth century by Edwin Lascelles. Apart from maintaining the original style and character of the village, the cottages provide homes for members of staff. This also helps to foster community spirit since so many of the cottages are occupied by people whose working lives and leisure hours are bound up in the life of the village. Upkeep of listed cottages is expensive and, as the majority provide no direct income, repairs, maintenance and modernisation can prove to be a heavy drain on the Estate's finances. Fortunately, current Housing Act legislation permits the letting of the balance of the cottages as shorthold tenancies which, apart from contributing towards income, also allows the Estate to provide attractive homes to a wider public in an exclusive and highly desirable neighbourhood. Harewood village is within a conservation area and all the properties are of special architectural and historical interest. 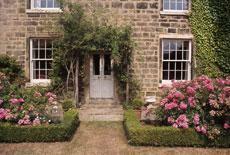 Properties range from small character cottages to large detached houses. Initial lettings are available on 6-12 month assured shorthold tenancies.